Money measures nothing except greed. When money becomes the objective, misery is the return. Service is the goal, the result of which is prosperity. Money is an effect, a result. What do I mean? Well, you see, we live in a world of cause and effect. The fundamental rule here is, ‘If you want an effect, work on the cause.’ For example, peace is an effect; it is the result of justice. So if you want peace, then seek to ensure justice for all. If injustice prevails, peace can never come about because people will fight against injustice as indeed they should and peace will be disturbed. Similarly, money is the result of intelligent effort. The effort can be dishonorable or honorable. Both kinds yield money. One yields money coupled with anxiety, fear, disgrace, hatred, shame, and the ill will of people. The other kind yields money with respect, honor, goodwill, love, gratitude and the prayers of people. Your call which kind you want. Remember, the second kind is actually easier. And you will sleep better too. Remember also that money is a measure of nothing except greed. It is what you do with money which counts, not how much you have. So seek to do something with money that has a lasting positive effect. That is what gives meaning to money and makes it a source of benefit to you and others and gives you an opportunity to leave behind a legacy of honor. The biggest killer globally today is not war but poverty. And that is not the result of lack of resources but lack of compassion and concern. The fact that we have created a world in which 62 of the richest people own more than 50% of the global population, is not simply astonishing and shameful but very encouraging. Because what we created, we can change. That we must change it, is not something that needs emphasis. A world (or country) with a huge income and wealth disparity is less prosperous, less peaceful and less happy than a country where the income/wealth disparity is not so marked. It is in the interest of everyone, including the wealthy, that wealth is shared. That increases disposable income and buying power which translates into a stronger economy and more prosperity. Strangely the powers that be, who are supposed to be intelligent, don’t seem to understand this and insist on cornering resources at the cost of the vast majority. Thoughtfulness is a factor of doing the unnecessary. This is a take on the previous one for the city boys. Life is a bank account. How much you can draw out depends on what you put in. You put it in when you don’t need it. So that you can draw it out when you do. For those who still don’t get it: if you want people to help you when you need help, help them when they need help. Most people don’t take the trouble to make a phone call or write an email or drop a card to someone who they don’t need at that moment; but that is when it is most appreciated. That person also knows that they are not influential, wealthy, or otherwise wanted or greatly needed and that is precisely why when they receive that call, they appreciate it. You may be thinking, ‘Well, if they are really so uninfluential, why does it matter whether they appreciate or not?’ One reason only: It is about you, not about them. Our attitudes are our own. And they decide how we fare in life. So take the trouble to connect with people by being thoughtful. Remember also that others watch what you do and they see you doing thoughtful things and that influences their impression of you. There will always be critics, no matter what you do. Don’t worry about them. Don’t worry about the supporters either. Worry only about yourself and the One who knows what you do and why you do it. The rest will take care of themselves. I say that life is banking because like banking, the level of your overdraft depends on your deposits and account history. People who don’t deposit or are constantly overdrawn or don’t repay loans are not considered good risks. So also in life. You must earn goodwill – the deposits. You must repay debts – repaying of loans and be thoughtful and helpful – sometimes, simply by being in touch and asking about someone’s welfare; a day will surely come when you will need someone else’s act of kindness. It is amazing how the world is round not only geographically, but in terms of life itself. What you do tends to come back to you, not necessarily in the same place or from the same people, but it comes back nevertheless. So be sure you send out stuff that you wouldn’t mind receiving. Good begets good and evil begets evil. The truly shortsighted are those who sacrifice long term for short term; a policy that is as disastrous in Working Capital Management as it is in life. Do insane acts of kindness; unnecessary acts of thoughtfulness. It is only the ‘unnecessary’ that is remembered. Don’t believe all that people say; you are neither as cute as they think nor as bad. And what they tell you depends on what happened most recently between you and them. People have short memories so look in the mirror often. Medical Ethics? Who is she? Of late we have been having an interesting and involved discussion on the subject of medical ethics in India, especially in so-called corporate hospitals involving also doctors in both private practice and government service. Interesting and involved because everyone is an interested party; at some time having been the recipients of the tender mercies of doctors and our hospital system. 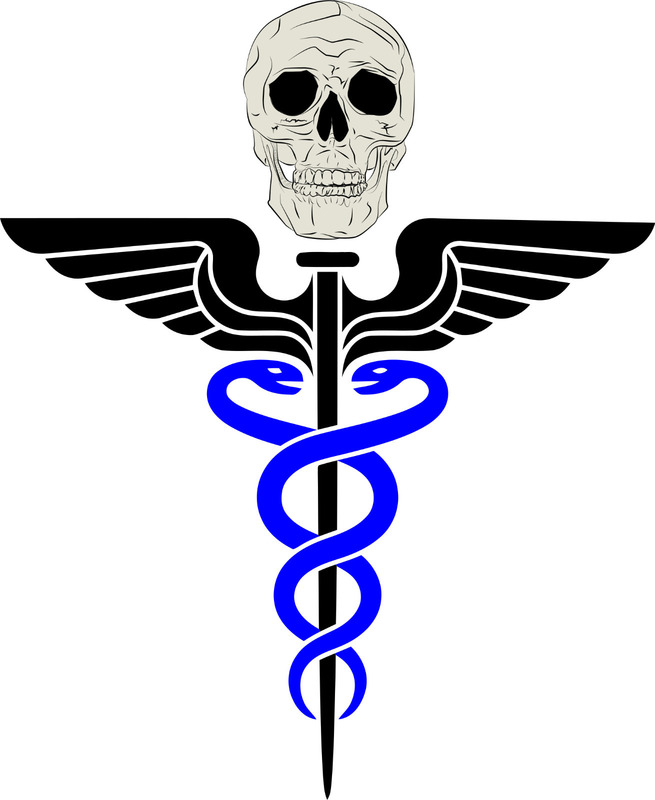 What I have been left with at the end of it all is the distinctly alarming feeling that the entire concept of medical ethics seems to be Greek and Latin to most doctors – or at least that is how they seem to act. So I thought it would be a useful exercise to put this down on paper, the way I see it so that we can take it on from there. It is symbolic that the name given to the sufferer of a disease is ‘patient’. Perhaps it is a reminder to him of what he needs to be above all else – patient in the face of not only suffering which would be a trial enough, but even more patient in the face of open exploitation by those who he trusts, needs desperately and looks up to as his saviors. The problem is that of a lack of sync in perception. Those who he looks to as his saviors see him as their victim or prey to be used and abused until he can give no more. Exploitation by anyone is bad. But exploitation by those who are trusted is blasphemous and evil. Exploitation by doctors, hospitals and medical service providers falls squarely in that category. Let those who indulge in it fear the Day when they will meet their Creator and have to answer Him for what they did. It doesn’t matter whether you believe this or not. It will happen just the same. Just as not believing in cholesterol will not save you from a heart attack; not believing in AllahY and the Day of Judgment will not save you from it. If you don’t believe me, just wait a bit. So what is evil about the system as it exists? What is evil is simply the issue of breach of trust. The trust between the doctor and his patient. There are many relationships in our lives which are based on trust. Parent/child, teacher/student, husband/wife, employer/employee, lawyer/client and others. However it can perhaps be argued that the most intimate of these is that of doctor/patient, where the doctor has access to such intimate personal details of the patient that almost none of the above relations have. A relationship that is based on trust is unique in that between the two parties there are no barriers, defenses or filters. So any hostile act goes straight to the heart without any hope of being either diverted or combatted. Add to this the complexity that in the doctor/patient relationship the trust is completely one-sided. The doctor knows everything about the patient and can learn whatever he wants simply by asking while the patient may not even know the doctor’s full name, let alone anything more about him. After all in which of these relationships can one simply order the other to drop his pants with the full assurance that his order will be obeyed without question? Therefore when that relationship is abused the crime is compounded in it heinousness because it amounts to predatory behavior. 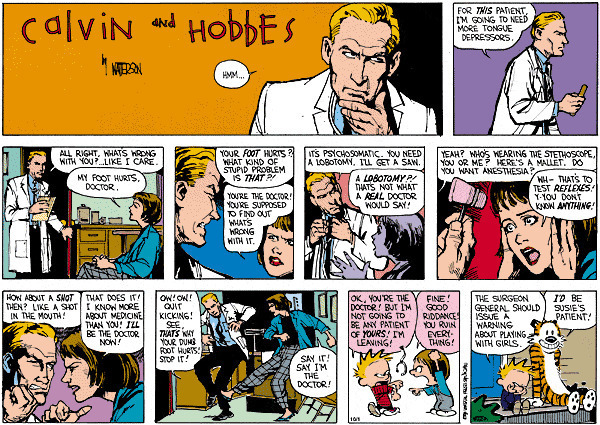 Given that the medical profession is perhaps the only one where those who graduate as doctors actually take an oath to keep the patient as their first and only concern and to practice their profession with honor and with the sole aim of helping the patient in his hour of need; when those doctors instead start to treat the patient as prey and instead of helping him, proceed to abuse the trust to loot him; the crime becomes worse than that of highway robbery. 1. Most Corporate hospitals give doctors commercial targets that they are supposed to achieve every month. If they don’t do it, whatever be the reason, they are penalized directly or indirectly. 2. In order to achieve these targets doctors have only one way; prescribe unnecessary investigations, treatments, hospitalization, surgical procedures, ICU care and expensive medication when cheaper alternatives may be available. 3. Diagnostic centers give doctors commissions which are a percentage of the billing they do for patients that those doctors send to them. This has been made such a fine art that even if a doctor doesn’t send patients to a particular diagnostic center, once a few patients come to them from that doctor, they automatically send a payment to that doctor. 4. And pharmaceutical companies give doctors bribes (they call them incentives or commissions) in the form of cash and kind – holidays, eating out, gifts etc. The person who eventually pays for all these is of course the patient as he is the only one in this racket who pays. All others collect at his expense. The patient pays directly in terms of needlessly high cost of treatment because all the incentives to doctors are passed on to him. Or indirectly through cost of medical insurance for the same reason. 1. Did you take all the pains to study medicine, qualify in tough exams and work all hours and take an oath at the end of it; to alleviate suffering or to inflict it? 2. How is it that you don’t feel insulted when you are given commercial targets and when you are offered incentives and commissions? 3. Are you a doctor or are you a you-know-what (let me know if you need me to explain what that is)? It is clear from all of the above – if you need proof for what your heart should have told you without any of this – that having anyone other than the patient as your primary client whose welfare must supercede every other consideration amounts to breach of trust of the worst kind. Taking all commissions, prescribing unnecessary treatments, making money from the patient beyond a reasonable fee, amounts to ill-gotten gains which attracts the punishment of AllahY. I didn’t want to make this too long and so I recorded a video about this in which I have told my own story of how I was exploited and how my father was exploited by big name corporate hospitals. Sadly my story is not unique. Stories like mine and far worse abound and every day we hear a new story of gross medical malpractice which is aided and abetted by destroying all evidence of it, doctors lying about it and ensuring that no legal action can be taken against the perpetrators – hospitals and doctors. It is a racket of organized crime – to put it simply and directly. But in all this such doctors and their colluders forget that what they try to hide is very visible from One who watches and to Whom they are all answerable. 1. How would you like to be in the care of a doctor exactly like yourself? 2. How would you like to be the victim of a doctor working to meet a commercial target who exploits you by prescribing treatment you don’t need and inflicting suffering on you so that he can generate bills for surgical procedures, investigations and treatments which are useless or may even be harmful? 3. How would you like to be in the care of a doctor for whom you were the first and most important priority? 4. How would you like to be in the care of a doctor who was interested only in your welfare, ensuring that you received the best care, in the most compassionate way at the lowest possible cost? 5. How you would like to be in the dua of all those you help through their pain and sickness? 6. How would you like to cursed by all those you victimized, deceived, exploited and abused? Alaq 96: 14 Doesn’t he know that Allah is watching?